HOT DEAL: $1250! 7 Night Dive Packages + All Meals + 12 Boat Dives + Transfers & Taxes included. ** This Week Only! Price Includes: 8 days / 7 nights accommodations, Airport transfers, Breakfast and dinner daily, 6 days of 3 tank boat dives, Unlimited shore dives, and complimentary wireless internet. Little Cayman Beach Resort has forty guest rooms (12 Luxury Oceanfront Rooms and 28 Deluxe Pool View Rooms) divided between two 2-story "treetop height" buildings, surrounded by lush tropical foliage and landscaped gardens. For the ultimate in comfort, the luxury oceanfront rooms also feature a microwave and coffeemaker. 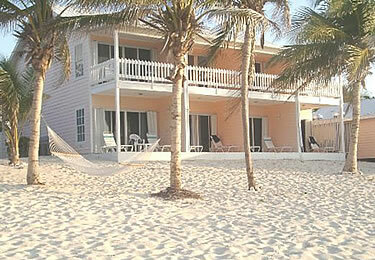 Wireless Internet is now available at no charge in all rooms at Little Cayman Beach Resort as well. Reef Divers offers guided SCUBA diving boat tours, snorkeling trips, complete PADI and NAUI instructional programs (including one-day resort courses, 4-day full certifications, advanced training and Nitrox certification), an air-conditioned classroom; 220 aluminum 80 cu. ft. and 63 cu. ft. SCUBA tanks, as well as 15 complete sets of Sherwood rental equipment; and an equipment repair service. The Dive Center sells a complete selection of SCUBA diving equipment, accessories and Reef Divers and Little Cayman Beach Resort logo dive sportswear. Nitrox certification and diving are also available. The Reef Divers’ dive center provides fresh water rinsing tanks, fresh water showers, a dive gear storage area, and restrooms. Reef Divers uses two new Mako 30 cfm, electric-powered, air-cooled dive compressors, complete with state-of-the-art filtration system and plenty of air storage capacity, as well as a Nitrox Technologies Membrane system for Nitrox fills. Plus, to be sure you capture every exciting moment of every dive, Reef Photo & Video Center has a selection of underwater video and photography equipment for rent, plus on-site E-6 processing. Reef Divers operates three custom-designed super dive boats built by Newton Boats of Slidell, Louisiana. Forty-two feet long and 16 feet wide, they’re powered by twin caterpillar 350-hp, 3126 cat diesel engines and have a cruising speed of 25 mph. They feature over 500 square feet of floor and deck space, dual ladders, stand-up showers and a padded camera table. Praised by divers for their ease of entering and exiting the water, they are also favored for their many safety features. There’s plenty to do outside the resort, too. Little Cayman boasts the third largest bird sanctuary in the Caribbean and we encourage our guests to arrange for a tour to see all the island’s sites, including the new museum, bird life observatory, old cemetery, Baptist Church and more. The Bird of Paradise Restaurant offers dining in a casual atmosphere, both indoors in air-conditioned comfort and outdoors under swaying palms in an alfresco setting. Meals are served buffet style. 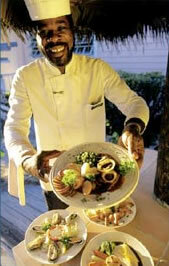 Special "theme night" buffet dinners feature continental menus and island specialties. Beach Nuts Bar is a poolside bar overlooking the beach,and specializing in refreshing, tropical drinks, local and imported beers, fine wines, and Cuban cigars. 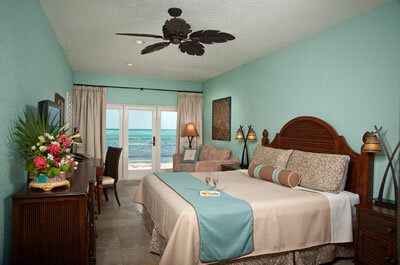 Guest activities include; Bar games, Trivia night, Managers’ Rum Punch Party plus seasonal sporting events. For the artistic among you, collect a piece of driftwood from the beach and paints from the bar and add to our collection of Bar Art.